The Internet makes life a lot easier for outdoorsmen to keep up with their favorite pastime – especially during the off season! I recently stumbled upon Realtree’s new website and was impressed with something so many sites are missing these days. 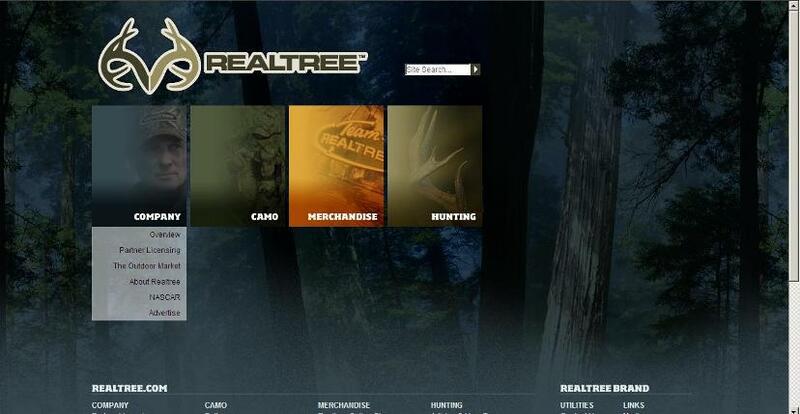 Realtree had simplified the navigation of www.realtree.com! Realtree is a camo company with a backbone in the fact it licenses its patterns to manufacturers for use on their products. Along with Mossy Oak, the company is at the top of the food chain in the camo industry. And their business model is one that continues to fascinate me. It’s very similar in principle to the model that made Coca-Cola one of the largest and most recognizable companies globally. To understand my father’s hesitant introduction to technology, imagine no further than that maddened feeling that haunts so many Americans each April 14 as they’re dropping an envelope in the mail with “Internal Revenue Service” written in Sharpie on the front. Ultimately, those folks know they have to bite the bullet. But that doesn’t mean they’re going to do it minus a little kicking and screaming. I imagine most baby boomers feel the same about all of the technology that inflicts change on things they’ve been doing all their lives. My father has a computer and even has it connected to the World Wide Web. He’s been known to grudgingly flip a few e-mails to my brothers and I scattered around the South. But technology might have finally found a fan in my father. We now have digital trail cameras dispersed all around our property, each doing their part to set the landscape for what animals are roaming our ground. Over the course of the past six years (starting with 35mm film and graduating to digital), we have had almost as much fun getting amazing shots of deer, bear, coyote, turkeys and fox as we have actually hunting. Someone asked me recently what the greatest piece of gear invented for hunting was. Without thinking too long, I answered the trail camera – especially since the technology has become affordable to the weekend warrior hunters (like I consider myself). I’d love to tell you that my father has evolved into a Geek Squad-worthy adopter of technology. We’re not quite there yet! He recently let me know that he didn’t like messing with having to take all the photos off the SD cards, so he thinks it’s easier to just buy a new SD card and replace them! Baby steps, after all. Baby steps. WHAT DO YOU THINK? What has been the greatest gear invention for common hunters to date? Add your thoughts to the comments.